Fresh egg noodles available in the supermart today!! And dinner tonight's Mee Goreng with a refreshing dessert to tone down the oily-ness. I miss those days whereby hubby & I would sit together with David & Theresa at prata shop, enjoying teh tarik, milo cino, eating pratas & mee goreng, chatting away till wee hours in the morning. 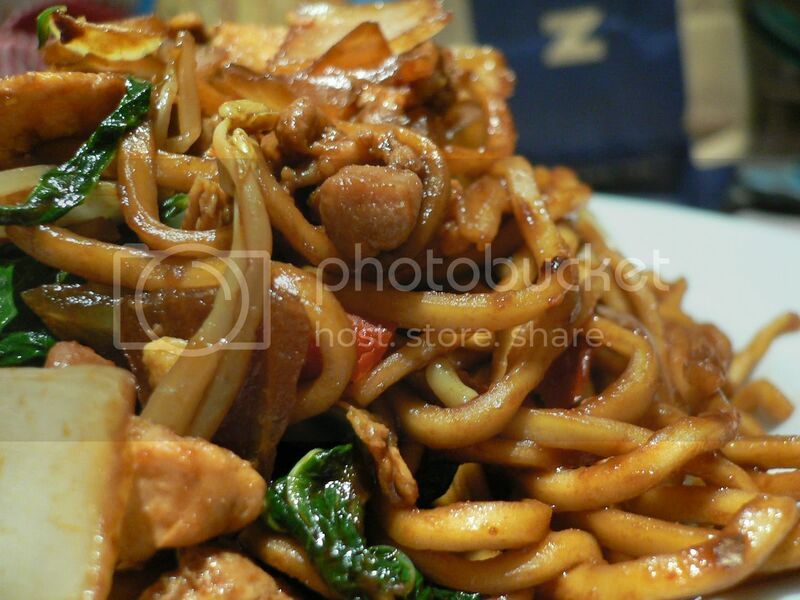 I love the indian style Mee Goreng, will never get tired of eating that. 1) Heat oil in wok, add in onions, fry till translucent. Add in chicken to fry till half cooked. 2) Add in beansprouts & vegetable, stir fry till vegetables half cooked. 3) Add noodles & stir, followed by diced potato & egg. 4) Pour in seasonings, make sure all ingredients are well coated. Serve hot. I recalled seeing that packet of tofu mix somewhere here, and I thank God that UAE caters to that small number of japanese here. Alright, tell u the truth, may sound abit weird but I lose sleep over this packet of tofu mix last night & was so excited about it that I went down early morning just to find this, keeping my fingers crossed that it'll be on the shelf. I know I would disappointed if they run out of stocks or for whatever reasons, that is. This really and I mean REALLY, satisfies my craving for tofu fa. 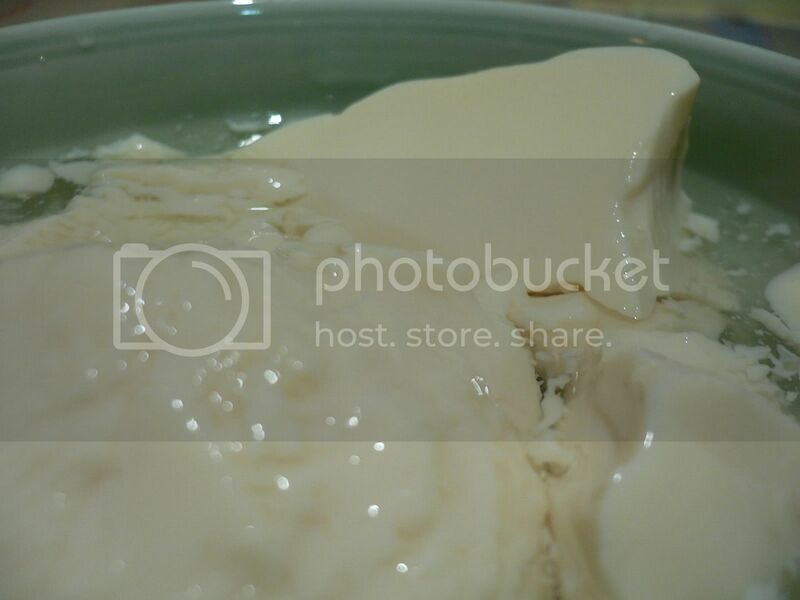 The 3 'S' that meets the criteria of a tofu fa: Silky, Soft & Smooth. Thumbs up! This was done within minutes.